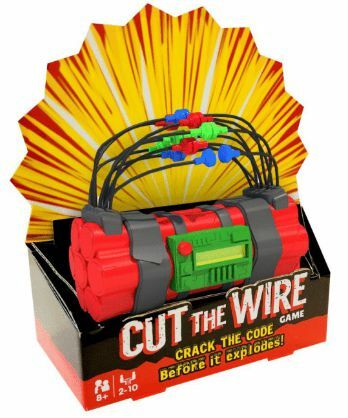 A kids’ bomb-defusing game sold in Canada at Walmart has offended some shoppers who find it inappropriate, particularly in an era of terrorism threats. “It’s horrendous, especially in a day and age like this,” said Sharon Butler, a parent who discovered the item recently at a Walmart store in London, Ont. Called “Cut The Wire,” the game is recommended for children ages six and up. Players race to defuse a brightly coloured ticking toy bomb connected to numerous wires before it pretend-explodes. “Defuse or lose!” says the product’s packaging. Handy knowledge to have in a diverse society!